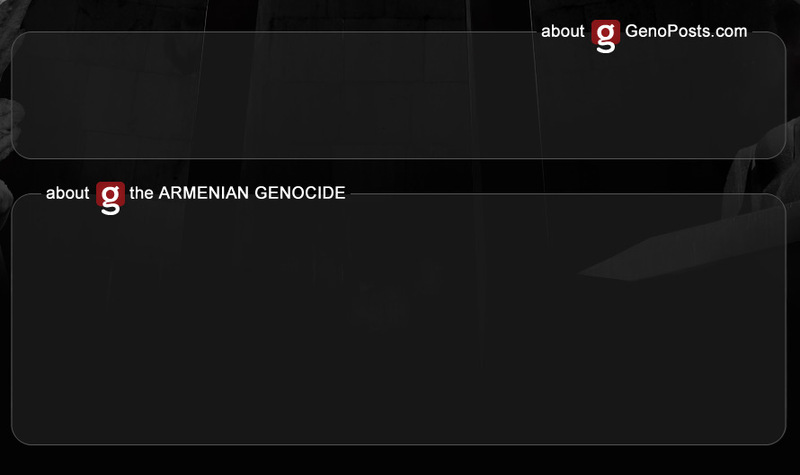 GenoPosts is our domain name that stands for Genocide Postings, dedicated totally for the Armenian Genocide. You can find posters, wallpapers and complete design sets. GenoPosts.com provides you with 100% free artworks in order to support the AGRC (Armenian Genocide Recognition Campaign) that is running worldwide by all Armenians. Feel free to use these artworks as long as it is personal usage. Commercial use of these artworks is strictly prohibited. These artworks are for individuals and Armenian organizations to use them for the cause of the Armenian Genocide Recognition Campaigns. The atrocities committed against the Armenian people of the Ottoman Empire during W.W.I are called the Armenian Genocide. Genocide is the organized killing of a people for the express purpose of putting an end to their collective existence. Because of its scope, genocide requires central planning and a machinery to implement it. This makes genocide the quintessential state crime as only a government has the resources to carry out such a scheme of destruction. The Armenian Genocide was centrally planned and administered by the Turkish government against the entire Armenian population of the Ottoman Empire. They killed 1,500,000 innocent souls and almost achieved a 100% elimination of Armenians. It was carried out during W.W.I between the years 1915 and 1918. The Armenian people were subjected to deportation, expropriation, abduction, torture, massacre, and starvation. The great bulk of the Armenian population was forcibly removed from Armenia and Anatolia to Syria, where the vast majority was sent into the desert to die of thirst and hunger. Large numbers of Armenians were methodically massacred throughout the Ottoman Empire. Women and children were abducted and horribly abused. The entire wealth of the Armenian people was expropriated. After only a little more than a year of calm at the end of W.W.I, the atrocities were renewed between 1920 and 1923, and the remaining Armenians were subjected to further massacres and expulsions. In 1915, thirty-three years before UN Genocide Convention was adopted, the Armenian Genocide was condemned by the international community as the worst crime against humanity.